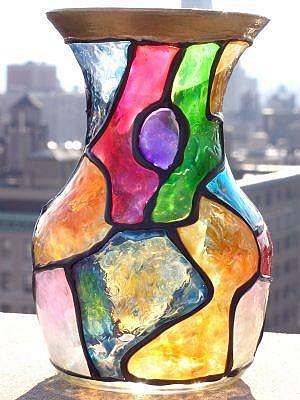 Here is another of my colorful abstract stained glass painted vases. 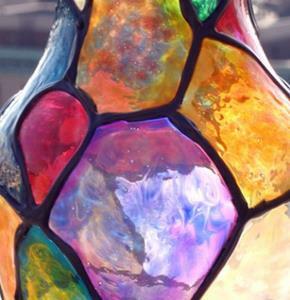 This one has an elegant, almost hourglass like shape to it, and is trimmed with gold metallic paint around the rim. It measures approx. 7"Hx4.5"W.
The colors are spectacular and it looks different from any angle. You can use this as an art piece alone on a shelf or you can use it to store dry items. PLEASE NOTE: It is NOT dishwaser safe, so it should NOT be used to hold liquids in. 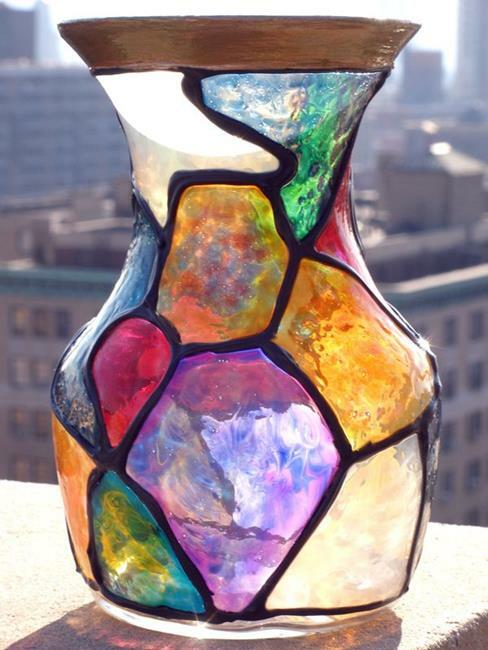 This vase features stunning, gem like colors in jewel tones that have a beautiful translucency or iridescence to them. The colors are even more striking and intense in person than on the computer. There is texture as well which can probably best be seen in the closeup photo here. 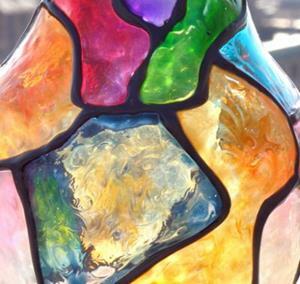 This would make a wonderful Holiday gift for that special art lover in your life! I signed it on the bottom.